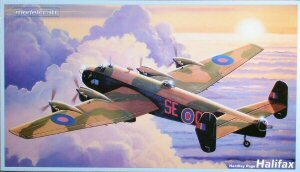 The Handley Page Halifax was the most advanced strategic bomber in the RAF's inventory from its service introduction in 1941 until overshadowed by the Avro Lancaster in 1942. The Lancaster was faster, could fly higher with a larger bomb load, and was adaptable to carry a variety of weapons. While the Halifax was relegated into second place as a bomber, a great deal of bias within Bomber Command pushed the Halifax out the spotlight for many years. Nevertheless, statistically the Halifax carried the lion's share of iron over target, second only to the Lancaster. Despite the bias in Bomber Command, the Halifax remained in production throughout the war since the aircraft had one advantage over the Lancaster - room inside the fuselage. The Halifax became a star in bomber support with versions equipped for electronic reconnaissance, electronic warfare, aerial ambulance, transport and glider tug. The first two versions of the Halifax were powered by the Merlin engine, whose performance on the airframe were causing many of the limitations that put the aircraft in Bomber Command's sights. Handley Page was able to switch powerplants to the Hercules radial engine with the version and this change improved the aircraft's performance, but not enough to compete against the Lancaster. For a nice summary of the aircraft's development and the various types and sub-types that were created from the Halifax, check out Volume 8 of Wings of Fame. Modelcraft Canada has reissued the Matchbox 1/72 Halifax B.I/B.II kit. 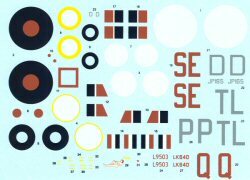 Unlike the multicolored styrene of the Matchbox days, Modelcraft has thankfully produced this kit in white styrene. 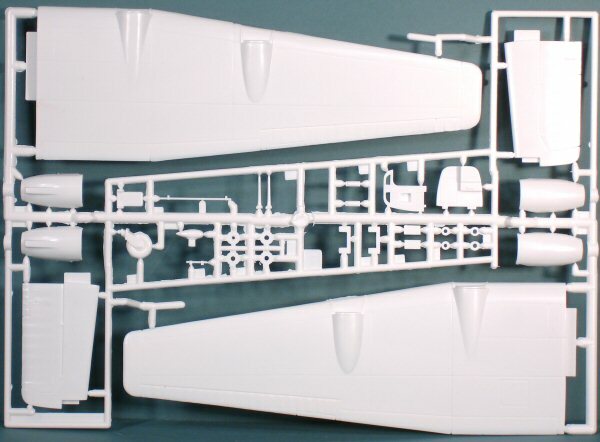 Presented on four parts trees, plus a single tree of clear parts, the molds of this kit are in great shape! Detailing is an interesting mix of raised and scribed lines. The detailing on the wings and tail surfaces are all scribed, with nice surfaces representing the fabric-covered flight control surfaces. The fuselage has raised panel lines except around the nose. The raised panel lines are fine while the scribed panel lines are a bit too deep and wide, but shouldn't be much of an issue after paint. As with most of the Matchbox series, this kit is an easy build, though some experience at dry-fitting and filing/trimming will be beneficial to obtaining a good fit for all of the parts and subassemblies. 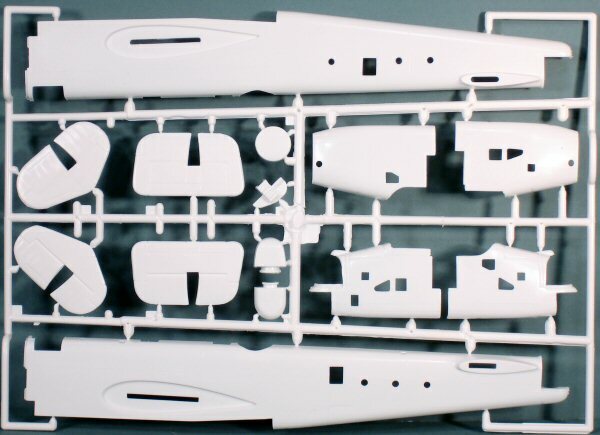 The nose and fuselage have a wide array of windows in them, which in 1/72 styrene translates to parts that are about as thick as they are round. For these, I'd recommend leaving off the kit and after you've finished with painting and weathering, use a product like Microscale Crystal Klear or even plain old Elmers White Glue to replicate these windows. 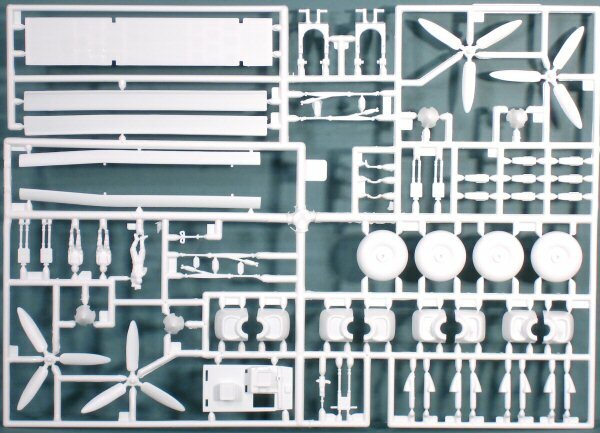 A note in the instructions indicate that the B.II version should have four-bladed propellers, so you'll need to find suitable replacements should you wish to build this version. This will build into an impressive model straight out of the box. 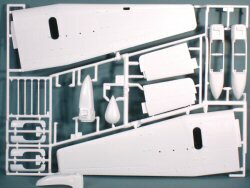 To my knowledge, this is the only styrene kit of these marks of the Halifax in 1/72. I do refer to the previous Matchbox as well as the current Modelcraft releases. 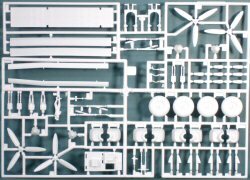 Airfix did release the Hercules-powered B.III in this scale as well. My sincere thanks to Modelcraft for this review sample!